Golden Apple Awards Help us recognize outstanding educators by nominating a teacher today! Scripture Reflection for Sunday, April 21, 2019 Blessed Easter to you and to all your families! I am Fr. Matthew Morelli, Parochial Vicar of Blessed Sacrament Cathedral in Greensburg. Calling All CYO Coaches in the Diocese Join us for our Play Like a Champion Today Coaches Clinic. September 7, November 9, and February 8 dates are available. Join Us June 9! Join Bishop Malesic and families from all over the Diocese of Greensburg for FamilyFest 2019. DISCOVER See what's happening today. If you, or someone you know, are struggling with opioid or other substance abuse, please see our Diocese of Greensburg Information Page to find out where you can turn for help today. Or call the PA Get Help Now line 24/7/365 at 1-800-662-4357 (HELP). WORSHIP Find a Mass time. See nearest parishes. Browse our directories. CAPTURE His church through our lenses. ENGAGE Open God's word. Grow in faith. Blessed Easter to you and to all your families! I am Fr. 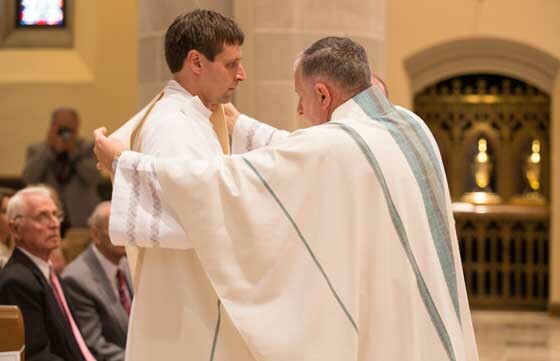 Matthew Morelli, Parochial Vicar of Blessed Sacrament Cathedral in Greensburg.